Filipinos based in Atlanta are turning to Facebook to widen their reach in hopes of locating a Filipina who has gone missing for several weeks. 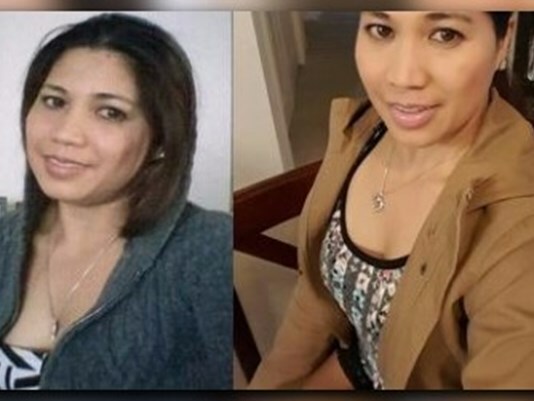 Willy Blanco of the Filipino-American Association of Atlanta told WSB-TV 2 on Monday that they have asked members of the ‘Atlanta Pinoy’ Facebook group’s to share any information that may lead to Cecilia Bustamante, who reportedly went missing on October 28. “Just reach out to all of your friends out there. People in social media groups, anybody who may know anything about her. They don’t have to be Filipino, it can be people from work, from Willy’s Mexican restaurant. She may have confided in them,” Blanco said. WSB-TV 2 reported that friends called 911 after Bustamante, 42, failed to show up for Thanksgiving. Bustamante is described as 5’3″ in height and weighed 120 lbs. She was last seen leaving her job on Peachtree Street, Atlanta at 11:40pm on October 28. Bustamante’s husband, who was not named in the report, report refused to cooperate with the police investigation nor the press and apparently showed no concern for his wife. No charges have been laid against Bustamante’s husband, now the sole caretaker of their seven-year-old son Alex. “Something horrible has happened to Cecilia. I cannot imagine her walking away from Alex,” Mary Kemzura, a friend of Bustamante’s, told Channel 2.